An eight-port, 6Gb/s PCI Express RAID controller, the Dell PowerEdge RAID Controller (PERC) H710 provides high server RAID performance for database and multimedia applications. As storage demands expand and processing loads grow, it becomes increasingly more difficult for administrators to achieve maximum performance from their applications. 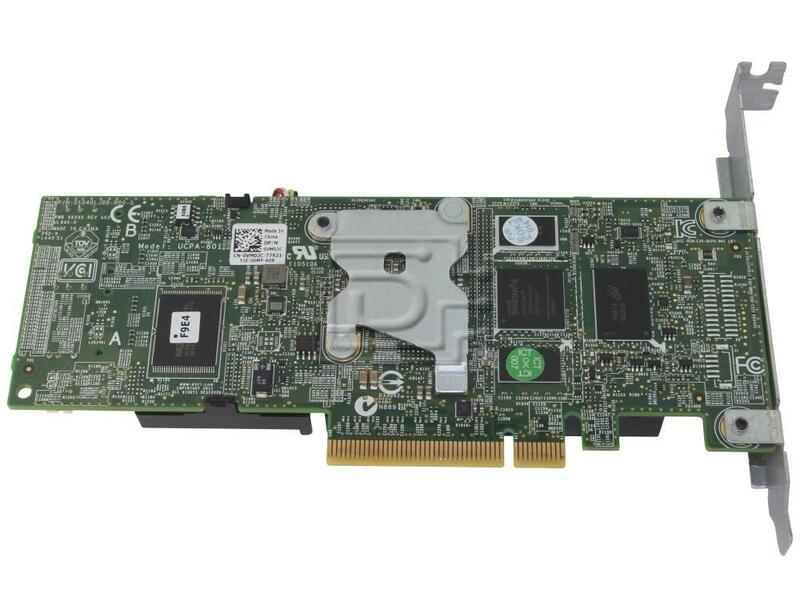 The newest line of Dell™ PowerEdge™ RAID Controller cards, built on the LSISA2208 dual-core PowerPC RAID-on-Chip (ROC), offer unmatched I/O performance for database applications and streaming digital media environments. The PowerEdge RAID Controller (PERC) H710, with eight internal ports, delivers two PowerPC processor cores and a 72-bit DDR3 interface that drives 512 MB cache memory. You can deploy the PERC H710 in hard-drive-based server environments for significant performance gains. If you are implementing hybrid server platforms based on solid-state storage, these extgeneration PERCs exploit the potential of solidstate drives (SSDs) for unsurpassed performance and enterprise-class reliability. The Dell family of 6Gb/s PowerEdge RAID Controllers is designed to support advanced software options for the Dell PowerEdge server family with enhanced performance and data protection capabilities. These new software options can help you to address key business challenges while helping to deliver a higher return on your IT investments. The PERCs and Dell’s Cut Through I/O (CTIO) feature boost transactional I/O performance of both rotational hard-drive and SSD configurations. Standard support for the most popular RAID levels and accessories, including RAID 5, RAID 6, RAID 50, RAID 60 and NVCache, further strengthen the data-protection capabilities of the PERC H710. Dell’s NVCache technology backs up the data to non-volatile storage in a powerloss event, and can store it safely for a nearly unlimited period of time. Dell OpenManage™ Storage Services (OMSS) provides the essential tools to efficiently manage PERC products, whether deployed in an enterprise or small business. Dell offers a collection of applications and tools, including a pre-boot setup utility and a full spectrum of online RAID management utilities. This suite of applications allow administrators to adjust SAS or SATA topology views from the system host, controller and disk enclosure down to the logical and physical drive level. Extending to enterprise deployments, these tools can scale to easily configure, monitor and manage RAID and JBOD volumes locally or over the LAN network.